Have an important event to attend but are too exhausted to visit the parlor after office? 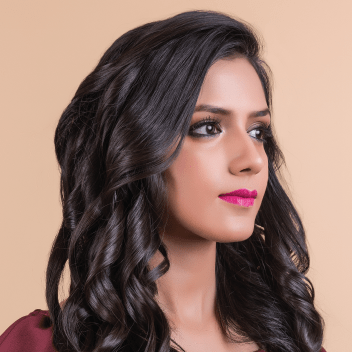 Simply book a party makeup artist in Mumbai and have them come to your doorstep without any hassle. We have a talented team of qualified, pre-verified party makeup artists in Mumbai that have been onboarded after a stringent quality check. 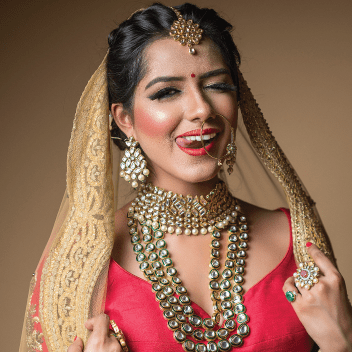 You may call them the crème de la creme of Mumbai and they are here especially for you, to make you look like a dream for that party that you have been waiting to attend. Superb...She is extremely talented and expert in what she does. She took best out of me. Thank you so much Labdhi for making me beautiful. Extremely happy with my hair and make up. She did a great job! 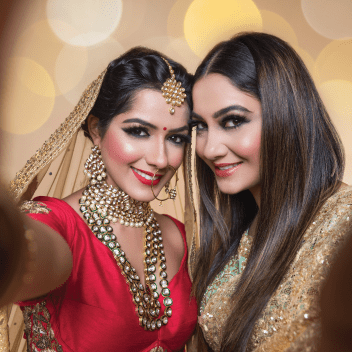 For any special occasion, whether it is a wedding, your baby shower, anniversary, kid’s birthday, or, even a party that you going to host, a professional makeup artist guarantees you a fantastic makeover. The best part is that you would look stunning on photographs. A professional makeup artist can give you a long lasting makeup look with spotless base and flawless eye makeup, which may otherwise be quite difficult to create on your own. Proficient Specialists: Only the top party makeup artists in Mumbai who are verified and professionals. Standard Makeup: The makeup artists from UrbanClap only use authentic products. Accessibility: A professional makeup is sent to your doorstep with his/her makeup kit from UrbanClap. Express Service: Book 3 hours ahead and get dressed at home for the occasion. Moisturise your face so that the makeup can be applied easily. Moisturising prepares the face and the makeup won’t look cakey or flaky if you have dry skin. Look for different makeup and hairstyle photos that you can share the party MUA as reference. They would know which style will complement your skin, the shape of your face, as well as your garb. Find photos of different draping styles as reference for the party MUA if you want to dress in saris or dupattas. Wear a button-down shirt or a top, and remember to put on your blouse beforehand, so that the makeup and your hairstyle are not damaged while you change. If you have to get makeup done at the party venue, make sure you have packed your dress, footwear, jewellery, and your button-down shirt before you leave your house. In case you want to use your own makeup product such as your preferred lipstick, bring it as the makeup artist can apply it to you at the venue. Also, make a small touch-up kit to apply it at the venue containing some pins, lipstick, moisturiser, blotting paper, a concealer and foundation, if required. NEVER go for a facial treatment before 1 or 2 days of your makeup session. Speak about your style choices with your MUA and show her some reference photos. You should openly speak to your makeup artist when she is ready for the makeup session. It is ideal not to wait for the makeup session to get over and then request for changes. Most likely, there would be no time to redo your makeup. Also, do not hesitate to let the MUA know what you don’t want. For instance, let the MUA know that you don’t like a dramatic winged eyeliner or any eyelash extensions. She will admire and understand your needs. Click photos of you on makeup and check them in natural and artificial lighting conditions. Make sure the base complements the colour of your skin. See if your back, neck, and face have the same colour. If they do not have the same tone, you should ask the makeup artist to put foundation on all the exposed parts. Check for dry spots where the makeup looks like it is peeling off. The MUA can dab a moisturiser on that area gently. Do check if any acne marks, blemishes and pimples have been concealed suitably. If they are completely covered the makeup would look odd. If the makeup is not up to your expectations, request your MUA to make it bold or moderate. Before applying kajal, use a cotton swab that would dry the waterline. This will make the kajal to last longer. Also, the primer should be applied over the eyelids apart from your face prior to the makeup application. This helps the makeup to last for a longer period. How comfortable you feel is what counts when it comes to hairstyling. When a pin is pulling your hair hard or you are just finding it discomforting, you should let your hairstylist know so that she/he can place the pins somewhere else. You should make sure, if the hairstyle is in place and you should move your head to see if it does not open up. While draping the saree, you should do the similar movements to ensure the pleats are not opening, whether it is easy to stand and sit without the sari opening up.